We worked with Old Navy to create new brands and brand extensions that shared Old Navy’s brand philosophy of offering a fun shopping experience with quality products that are affordable and accessible. Through strategic partnerships with these brands, Old Navy was able to provide newness and excitement and increase customer traffic for repeat purchases, giving customers additional reasons to shop in store on a regular basis. Alternatives created a new product category with the invention of the personal attachment device, Stik. 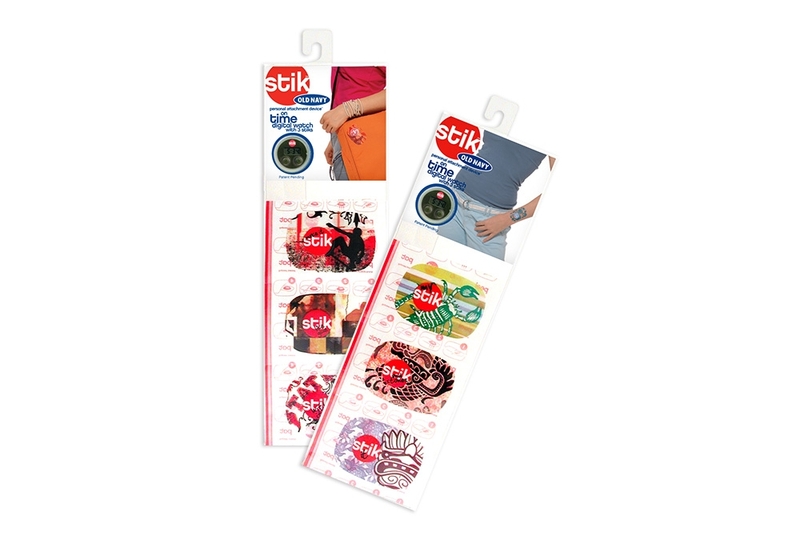 A functional fashion that’s part tattoo, part sticker, part digital watch, Stik can be used directly on the skin, on a backpack, notebook, or any smooth surface. Stik was first launched in Old Navy stores, creating an innovative, fun accessory using fun and trendsetting graphics that coordinated with the Old Navy T-shirt assortment. Inventor and Alternatives partner, Mark Koch, holds the patent for this unique product which can be adapted for use beyond a watch as a personal attachment device for lip balm, sunscreen, storage pods, safety flashers and more—all with unlimited graphic applications, colors and styles. For licensing opportunities contact info@altny.com. 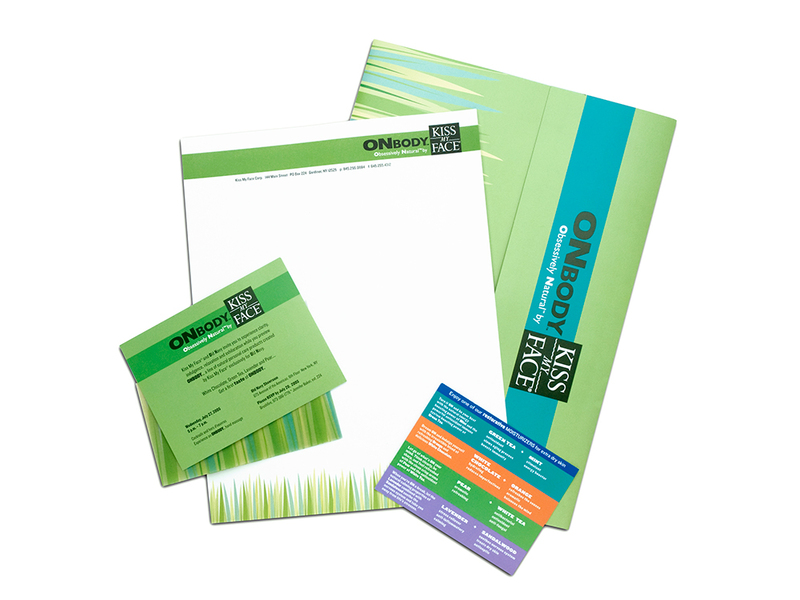 New brand development for this co-branded line of product developed exclusively for Old Navy (ON) by Kiss My Face natural body care included naming, visual identity, packaging and display design. 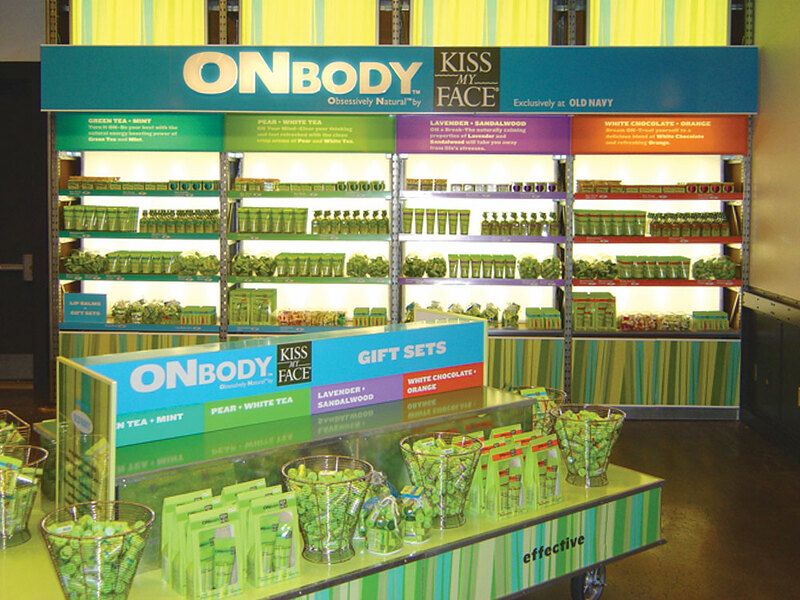 ON Body obsessively natural products ranged from soaps and shower gels to scented soy candles bringing fun, fresh packaging and affordable natural products to the Old Navy customer.